Accessories: Standard Circle and Scalloped Circle Nestabilities (Spellbinders), Red Twine (May Arts), Foam tape, Thread, Sewing machine. Accessories: A Cut Above Dies: Mini Classy Label (Verve), Red Chevron Twill (May Arts), Foam tape, Thread, Sewing machine. Beautiful cards! Always love your perfect stitching details! Wishing you a happy and blessed new year! Lovely cards! Do you remember where you purchased the needle-like card holder? Such pretty cards Stephanie! Love the red and light blue color combo! They are both gorgeous, Steph! 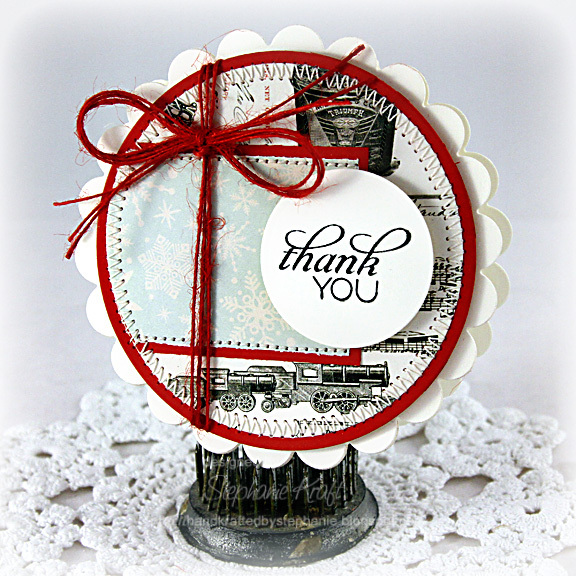 Fabulous sweet Stephanie...LOVE your work! I love the snowflakes! So sweet! 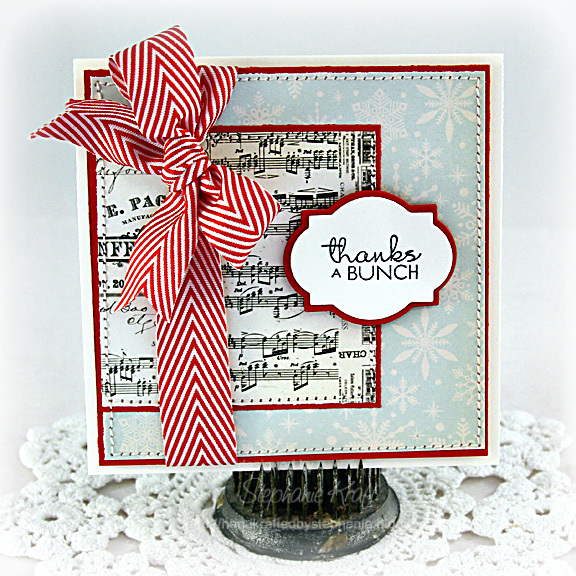 I got a music note background stamp for Christmas--it adds so much to the cards! Love it! !